Sadie is a girl with a plan. 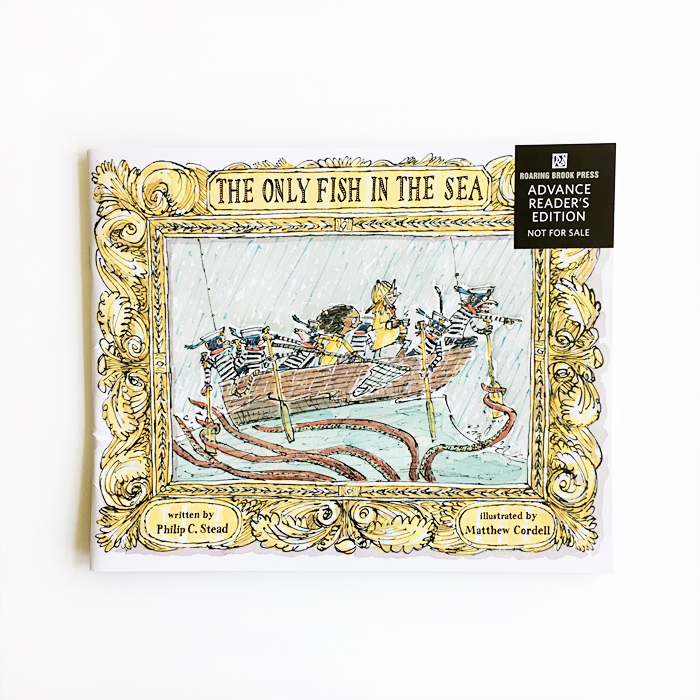 Together with her pal Sherman, she sets out to save an abandoned goldfish that she names Ellsworth (because “every fish deserves a proper name”). Armed with fishing gear, twenty-one pink balloons and a strange band of monkeys clad in striped shirts, our scrappy heroine and her first mate embark on their rescue. The clever visual humor will produce more than a few chortles whilst reading The Only Fish in the Sea. Written by Philip C. Stead, illustrated by Matthew Cordell and published by Roaring Brook Press. Out on August 15!